We invite you to participate in the Crow Wing Watershed Gathering 2 on Thursday, September 13, 2012 from 4:00 p.m. to 7:00 p.m. Local partners and Minnesota Pollution Control Agency are hosting the event. Join local officials, community leaders, government partners, and watershed residents, to explore and discuss the current health of the Crow Wing River Watershed. Since 2010, Minnesota Pollution Control Agency and local partners have gathered information on streams and lakes in the Park Rapids area. Participants will have an opportunity to ask water quality questions and learn more about the watershed. Presenters will include: Area Fisheries Biologist, DNR, Clean Water Specialist, Board of Soil and Water Resources, Area Hydrologist, DNR, and Emmons and Olivier Resources Inc.
Prizes and refreshments were donated by Crow Wing SWCD, Hubbard County SWCD, and Hubbard County COLA. Please share the enclosed invitation with colleagues, friends, and other community leaders. A link to this year's "Restore the Shore" tree and shrub order form has been posted on our "Shore Management" page. Orders and payments must be in by 9/17/2012 for delivery next spring. 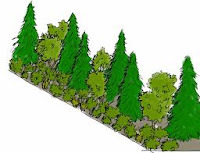 The benefit of ordering trees through this program is that the minimum quantity (bundle of five) order requirement is for a smaller number of trees. Information about where to mail your order and payment is also posted on the "Shore Management" page. You will find the information and link near the bottom of that page. "Soil bacteria could be key to fighting zebra mussels"
St. PAUL, Minn. — Scientists at the Minnesota Department of Natural Resources are studying a possible natural solution to zebra mussel infestations. A list of links to all past posts is on the sidebar under "Blog Archive." 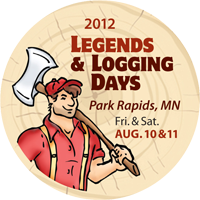 To contact Itasca State Park call (218) 699-7251 or email itasca.statepark@state.mn.us. This afternoon nine people came for a guided tour by LuAnne White of White's Tree Farm on Chippewa Loop. The tree farm was officially started in 1963 by Harold and Delpha White and then continued by their son, Richard. Now LuAnne and her sister, CC, continue the tradition. The tree farm is maintained according to a plan registered with the DNR as a tree farm that provides managed pine growth and habitat for wildlife. Three years ago the Whites donated an easement to the 100 acres to the Minnesota Land Trust. This keeps the land as a green, natural space that will never be built on but enjoyed by lake residents. It also preserves the watershed which helps protect the lake. LuAnne guided the group along the trails and pointed out various types of trees, wildlife signs, flowers and some grasses. Others used their knowledge to identify various fungi. The group even caught a little garter snake. Below are pictures of the group before they headed into the woods. Today is August 1st and August's first Wednesday - which means that it's time for Long Lake neighbors to meet at Zorbaz Zhateau. All are welcome at this monthly, informal gathering.